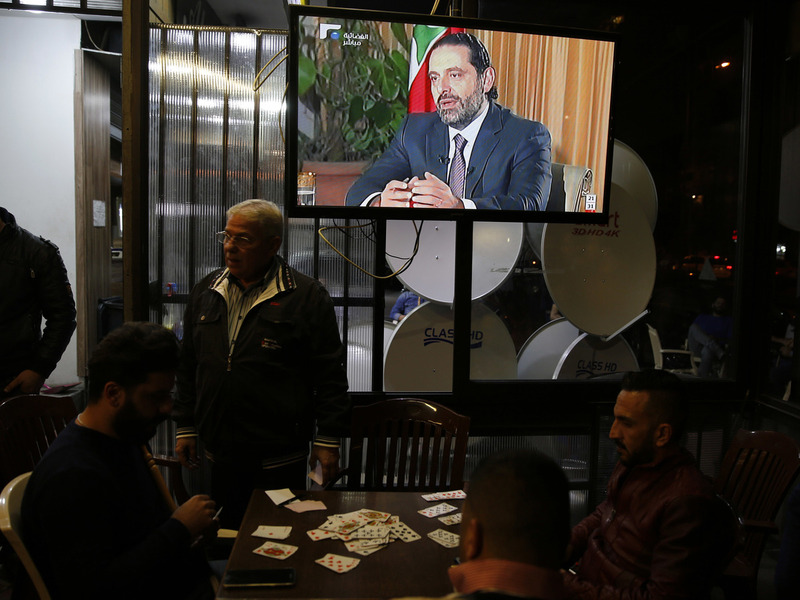 Lebanon's Prime Minister Says He May Rescind Resignation, Will Return : The Two-Way Saad Hariri said in a TV interview that he would be back in his country soon. The departure shocked his country with many speculating interference from Saudi Arabia. In his first live interview since suddenly resigning, Lebanese Prime Minister Saad Hariri denied rumors that Saudi Arabia was holding him against his will. He said he planned to return to his country within days. Lebanon's prime minister gave his first television interview since suddenly resigning last weekend, a move that set off rumors that Saudi Arabia had orchestrated his departure from government. During a live interview, Saad Hariri said he would return to Lebanon within days to formally submit his resignation, if not rescind it. As NPR's Ruth Sherlock has reported, Hariri's sudden resignation last Saturday started rumors that Saudi Arabia was somehow involved in his resignation. There was even speculation that Hariri's plane had been ambushed after landing in Riyadh and he was being held against his will. Lebanon's President Michel Aoun said on Sunday that he believed Hariri was being held against his will with his movements restricted within the Saudi Capital. "He originally said [he] was quitting in protest of the dominance of Hezbollah, an Iranian backed militia in Lebanese politics. But in this interview with Future TV, he suggested he may remain prime minister if Hezbollah, who has been fighting in neighboring Syria, respected Lebanon's policy of staying out of regional conflicts."